Melanie Miller on how a new commercial building could help sustain Butchertown's arts culture. 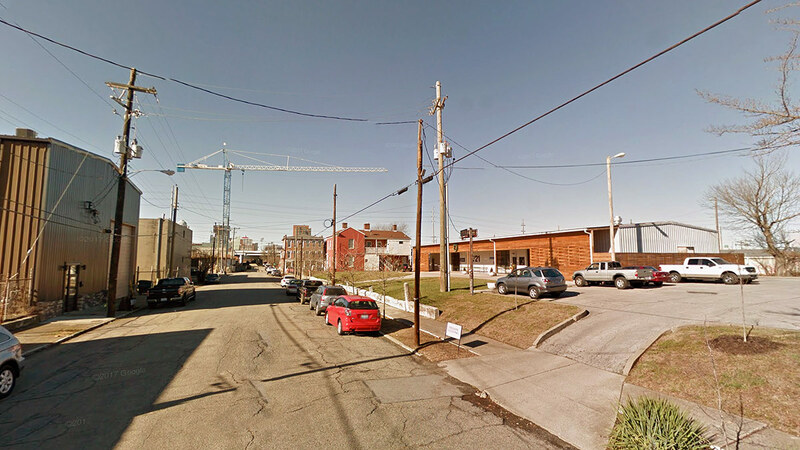 A couple years ago, walking down Washington Street in Butchertown led you past unkempt empty lots, a handful of historic structures, and a blank warehouses, and a metal scrapyard filled to the brim with garbage. You still get that same look today, with one major change. Enter Melanie Miller and Casey Hyland, owners of Hyland Glass. The couple purchased the scrap yard property at 721 East Washington and converted it into a glass blowing studio and gallery space. Their previous home on Main Street was being demolished to make way for a large-scale apartment complex, the Main & Clay. After thoroughly cleaning up the site, architect Jeff Rawlins of nearby Architectural Artisans designed a new basketweave facade for an existing metal warehouse. It’s been a prize for the neighborhood since it opened in fall of 2015. “We learned there’s a shortage of commercial office space in the Butchertown / Nulu area,” she continued. 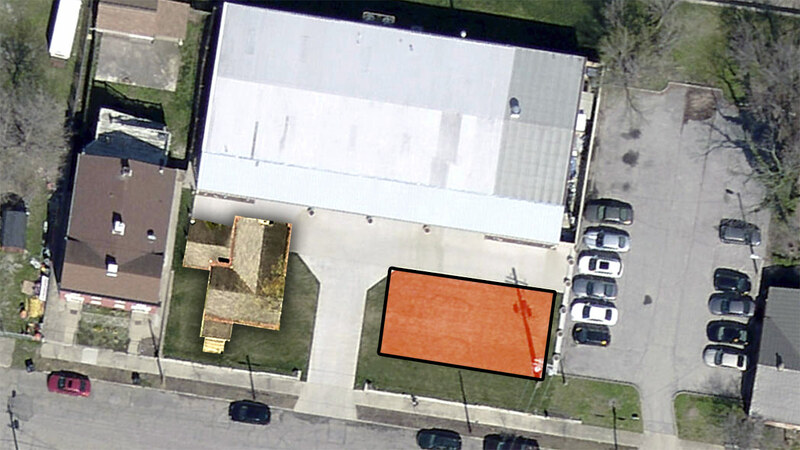 With the house on hold, Miller and Hyland looked to the larger, eastern side of their yard as a building site. They envision a new structure with a small retail store and offices on upper floors. Miller said the current zoning allows them to build up to four stories on the front lot. “We’re the only section on eastern side that’s [zoned] commercial,” she explained. “We are in this commercial weird world,” Miller said. There’s a couple rowhouses to the west of the site split up into apartments and the Thomas Edison House is across a parking lot to the east. 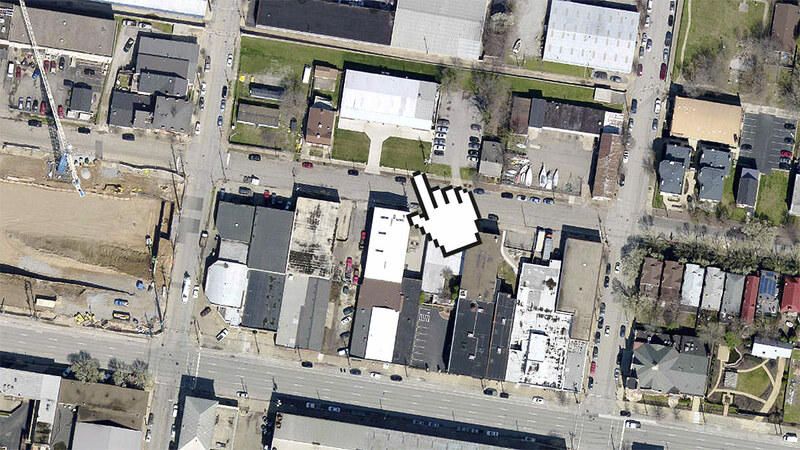 But on the south side, parking lots and faceless modern warehouses dominate the streetscape. And with Main & Clay quickly rising, the scale of the area is changing as well. “We want it to facilitate a walkable neighborhood,” Miller said. That means finding the right tenants for the space. That means there could be a gallery, a professional office, a shop, or even a juice bar. “It could even be a laundromat. I’d love to have a laundromat near here,” Miller said. But Miller was adamant that a restaurant wouldn’t work. 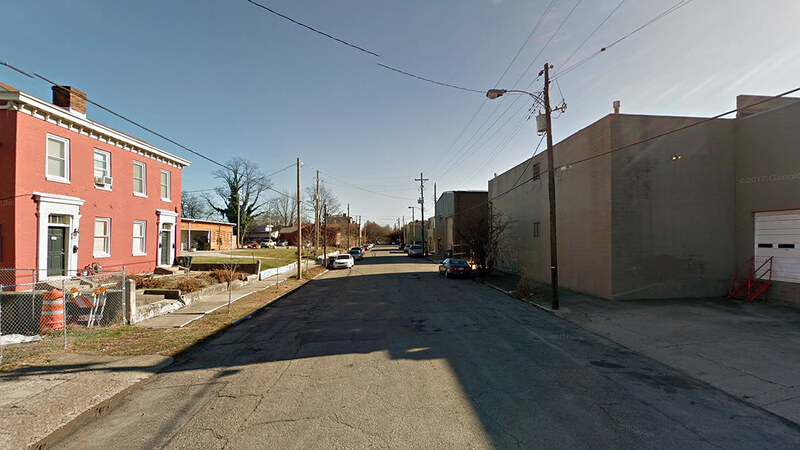 Butchertown’s floodwall cuts off alley access and trash and grease from such an operation would litter the sidewalk. Miller and Hyland haven’t begun work with an architect, but are deep into brainstorming what their building could look like. (Hyland holds an a degree in architecture from Washington University in St. Louis.) “We’re definitely going to keep the building as historically sensitive as possible,” Miller said. “That means brick, of course.” Any new structure, she said, would also conform to the existing street setback of the houses on the block. Miller noted how she loves the historic storefronts in the neighborhood. The couple is also considering the possibility of moving a threatened farmhouse on Wolf Pen Branch Road to the smaller western lot. The Kentucky Trust for Historic Preservation is seeking a new site for the circa-1870 Hoke House being displaced by a subdivision. And based on our crude to-scale map overlay, it looks like it could fit on the site. “Within the next year we want to capitalize on the property,” Miller said. She and Hyland are awaiting the opening of the Main & Clay apartments at the corner to open up to see how the neighborhood dynamic changes. “In a perfect world, I’d love this time next year to be breaking ground,” she said. But like all real estate projects, the Hyland Glass expansion will come down to financing. “For us, it’s going to come to getting back to the bank to see if we have enough money,” Miller said. Right now, they’re trying to drum up interest and find out if their project is viable.